"Diabetic neuropathy is a very costly and debilitating complication of diabetes. It is the leading cause of foot ulcers and nontrauma-related amputations, and the impact of diabetic neuropathy on the patient and family are unmeasurable," said Mark Yorek of the VA Medical Center in Iowa City, the study's lead investigator. 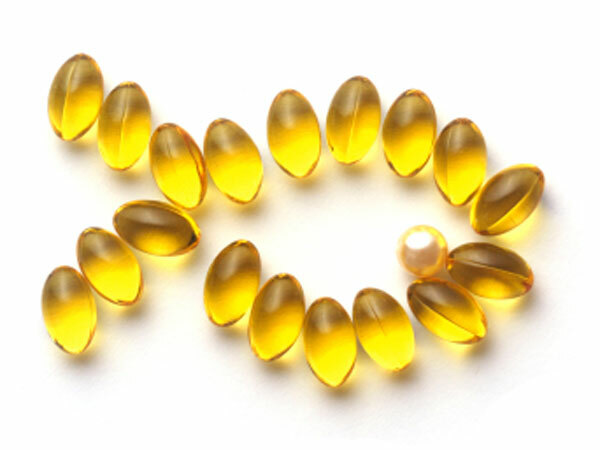 Fish oil is an attractive treatment approach because "supplements are considered very safe and could be easily translated into everyday care. Fish oil would be easy to take, like a vitamin, and should have few side effects when combined with other medications," explained Yorek. Previous studies of obesity and diabetes have reported better blood sugar handling, liver function and reduced inflammation with omega-3 fatty acids treatment. The health benefits were attributed to protective molecules produced from omega-3 fatty acids, including one type called resolvins. The research group had previously observed that diets enriched with omega-3 fatty acids from fish oil improved diabetic neuropathy in rats with Type 1 and Type 2 diabetes, and in this new study they examined why. Researchers used a mouse model of diabetes to study the effect of fish oil. Diabetic mice were fed a high-fat diet and treated with daily injections of resolvin or given a high-fat diet in which half the fat came from fish oil. The results were compared to healthy, non-diabetic mice. The researchers found that untreated diabetic mice had diminished sense of touch in their paws that corresponded to fewer nerves in the paw's skin and slower transmission of signals along the nerves. The eyes of untreated diabetic mice also had fewer nerves. Though dietary fish oil and resolvin did not lower glucose levels closer to healthy range, they improved nerve health in terms of density and sensory signal transmission. The researchers also observed that resolvin stimulated nerve cells to grow. "Even though a lot more work needs to be done, including clinical trials with human subjects, our animal studies suggest that fish oil can reverse some of the harmful effects of diabetes on the nerves. Our intent is to do more animal studies to demonstrate that fish oil treatment can reverse the harmful effects of diabetes on nerves even after a long period of poorly controlled diabetes. After completion of this work, we hope to begin studies with diabetic patients with neuropathy," Yorek said.